A wonderful way to get yourself back into shape following childbirth, with other mums and bubs in the outdoors. 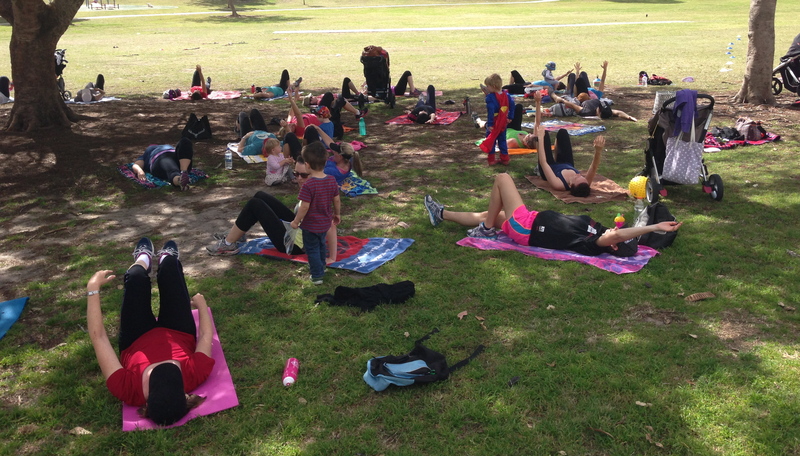 Join a small group already operating around Brisbane, start a group of your own, encourage your Mother’s group to get active or check the Brisbane City Council website to see where I will next be running a FREE Brisbane City Council Fit4Mums class. Due to the large range of fitness levels attending these classes, I provide a variety of options to cater for the different levels and I am very conscious of the need to provide pelvic floor safe exercises for my post natal ladies. These classes provide a great opportunity to get out of the house and meet up with other mums and bubs whilst improving your strength, cardio and core stability! COST: $16/session/person paid in an upfront block or $20/session/person casually. Grab your friends and come along and join in whenever you can!